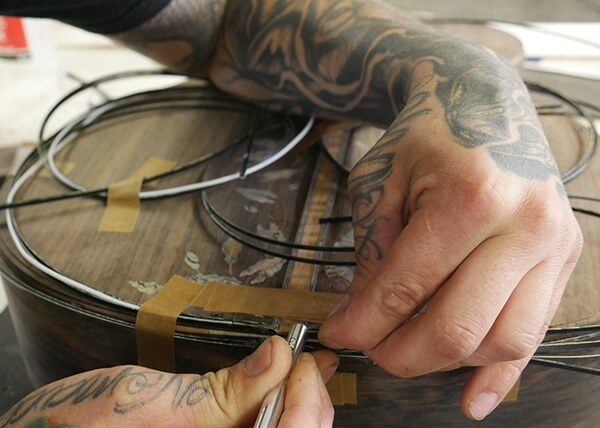 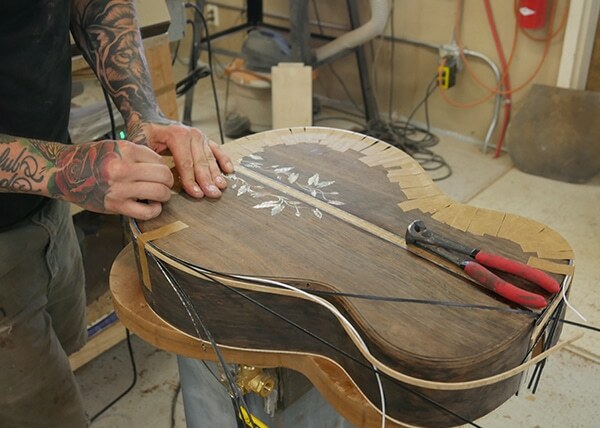 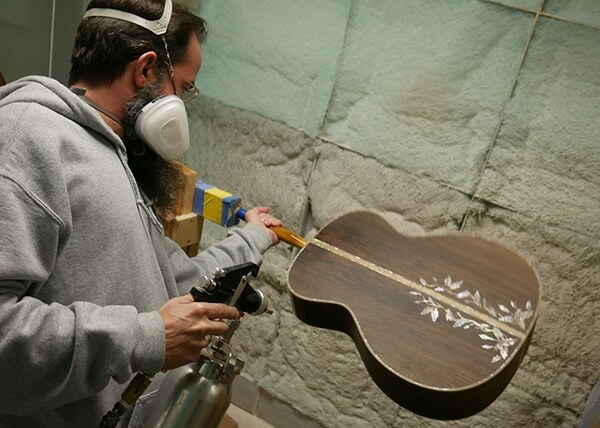 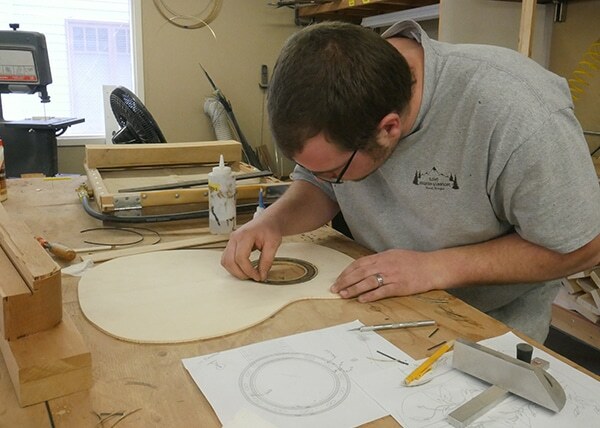 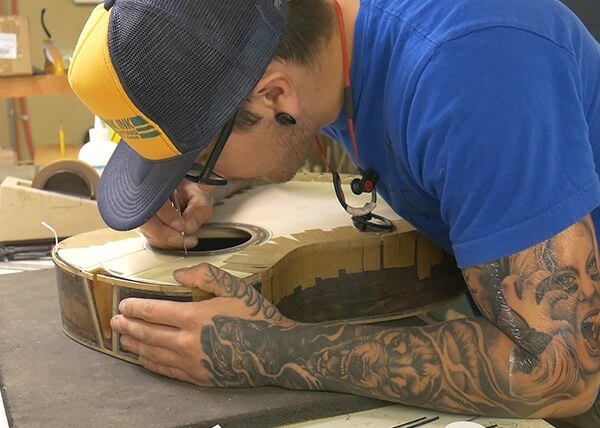 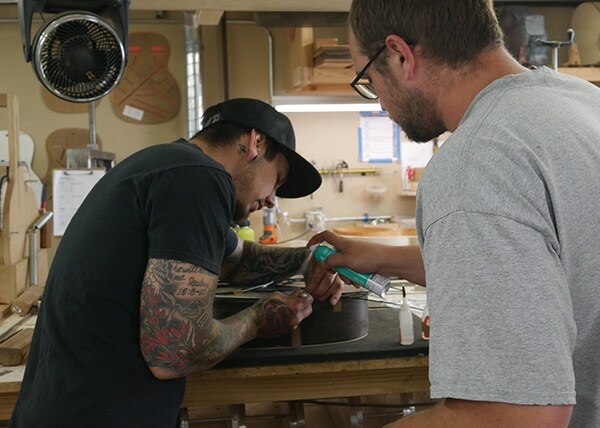 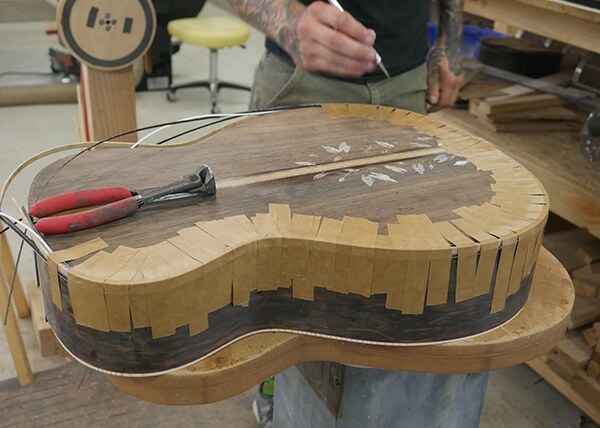 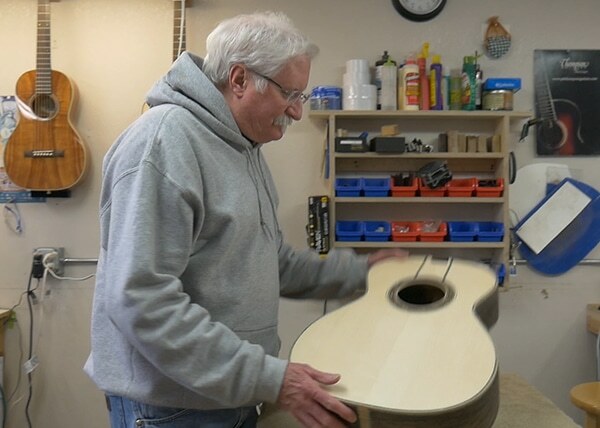 This special guitar took a year to design, construct, finish and set-up. 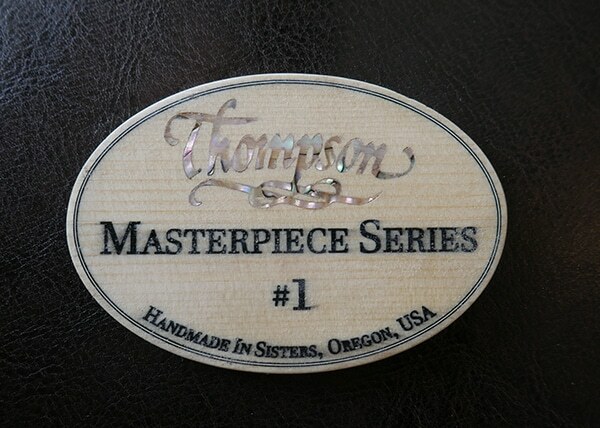 We are proud of the collaboration of our team together with Preston’s leadership in completing the first in our Masterpiece series. 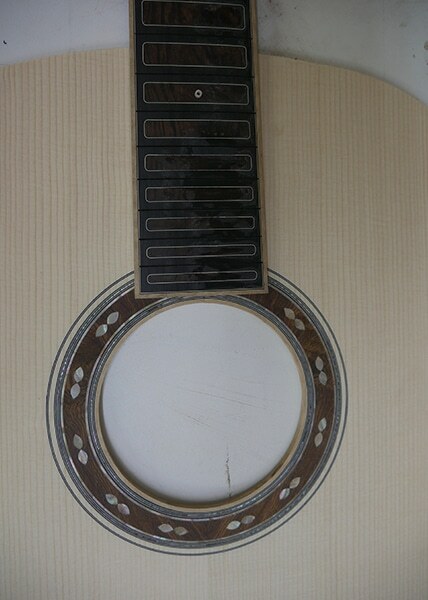 This OM Shipwreck Brazilian guitar will be for sale at Dream Guitars. 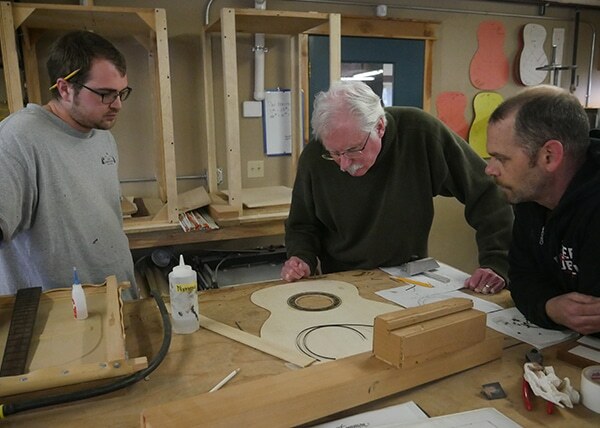 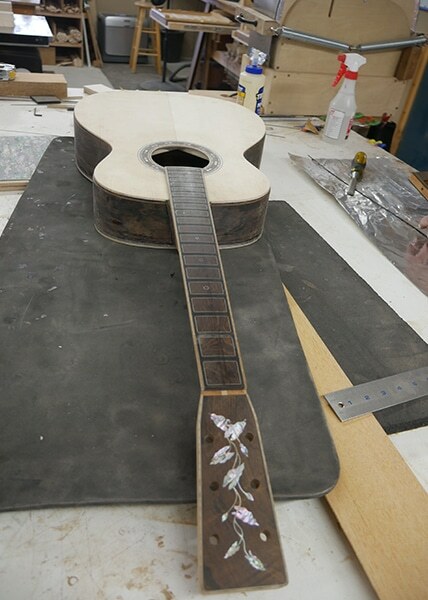 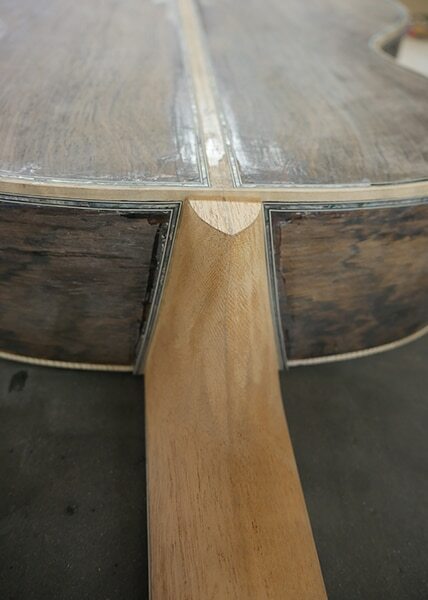 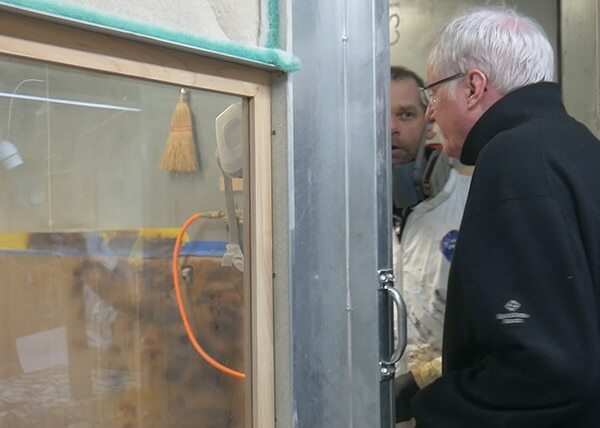 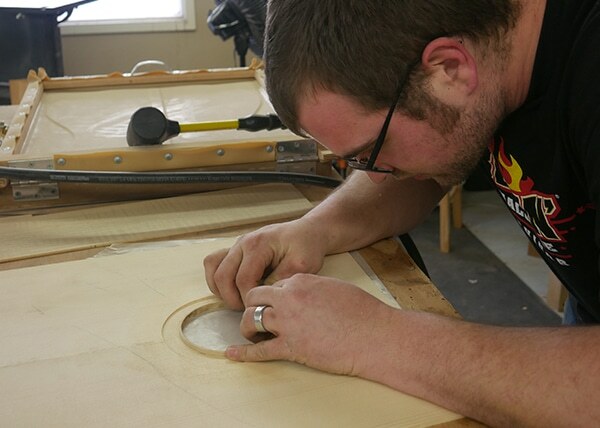 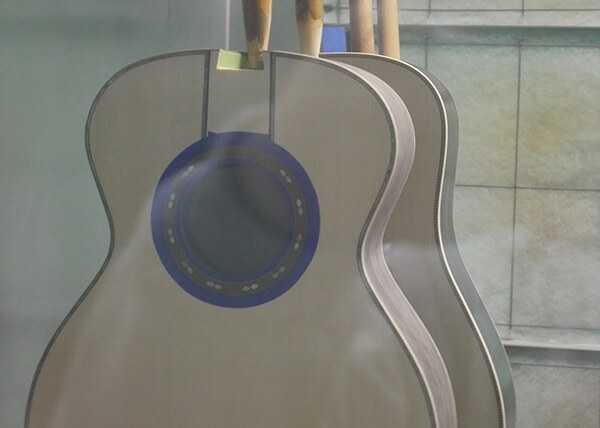 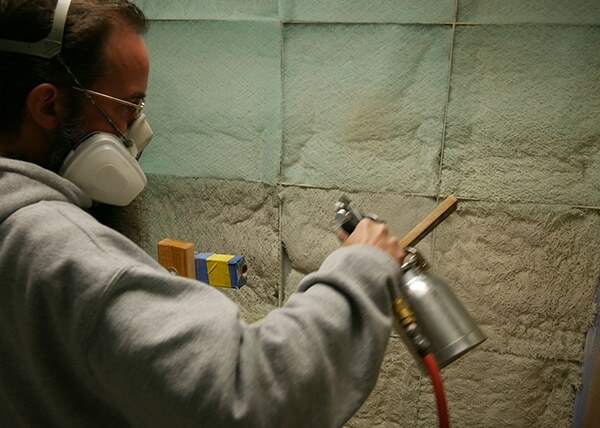 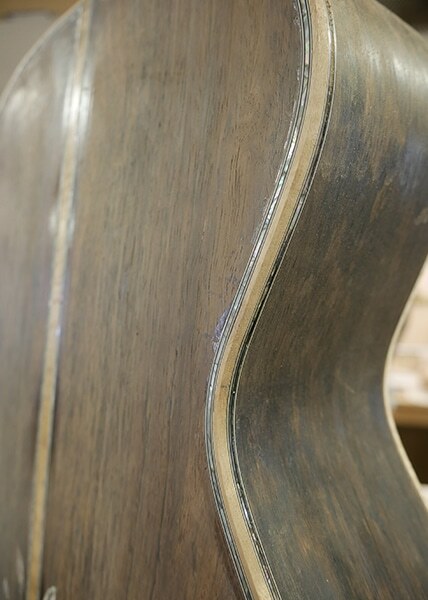 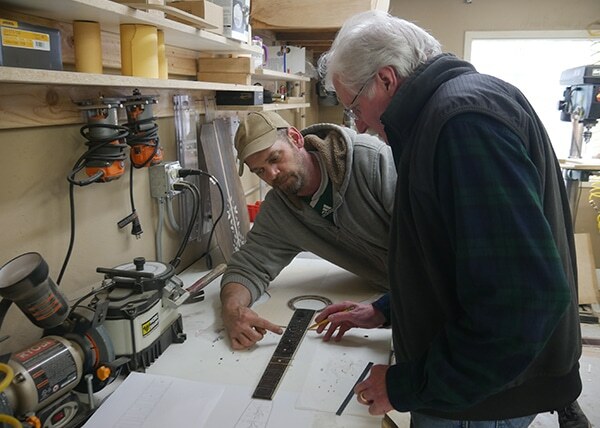 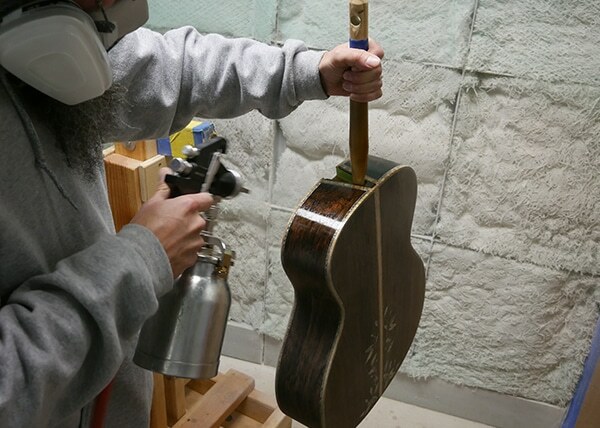 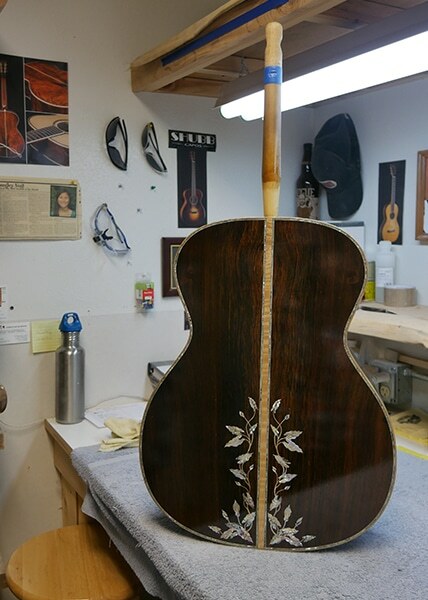 Here is a video about the guitar along with several production photos of the progress along the way. 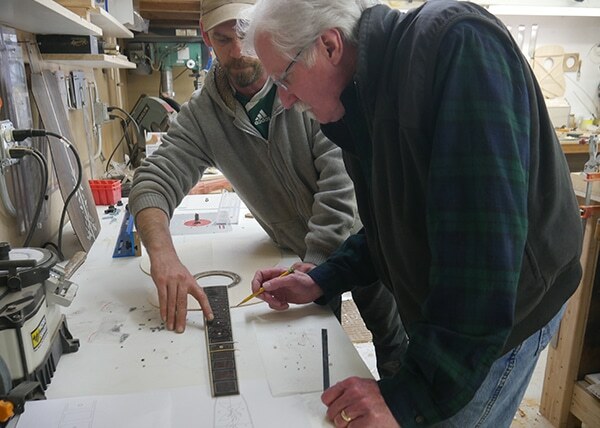 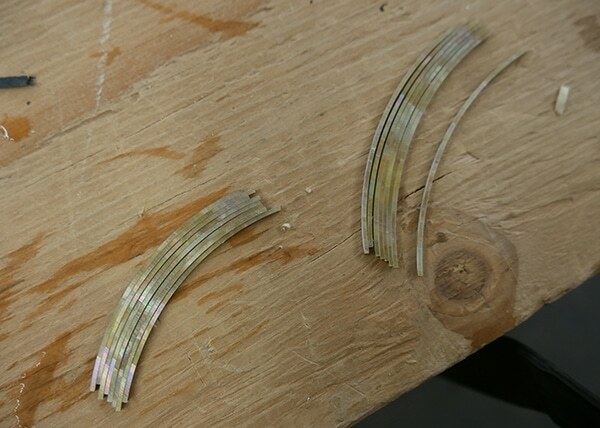 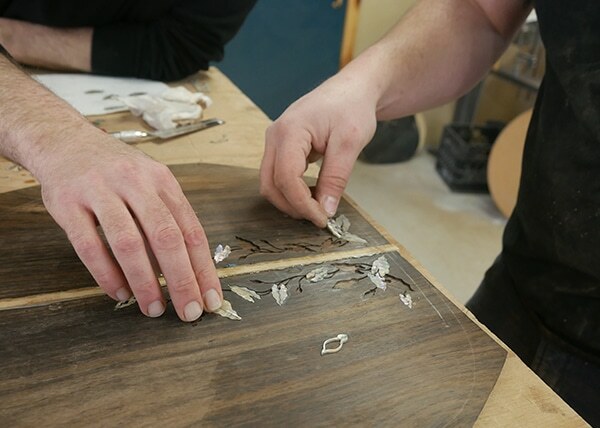 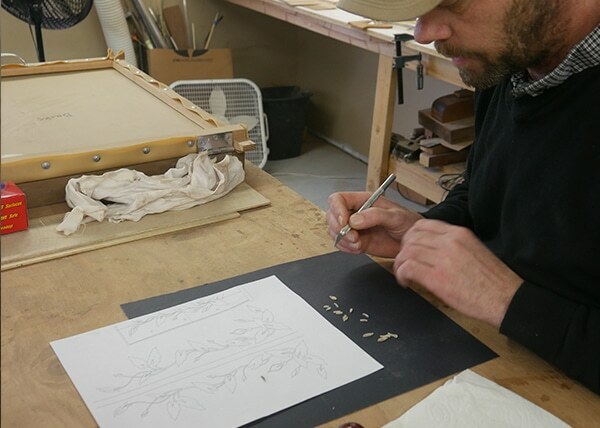 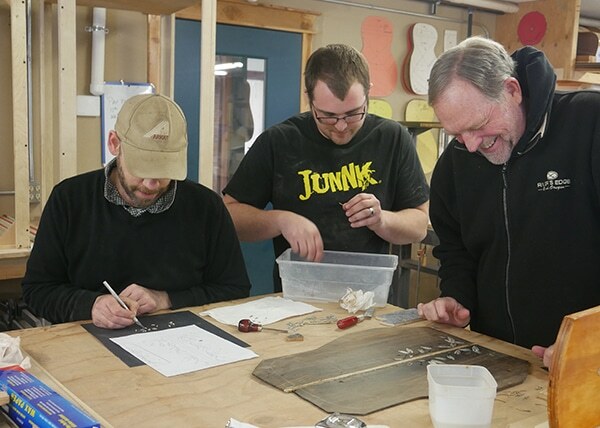 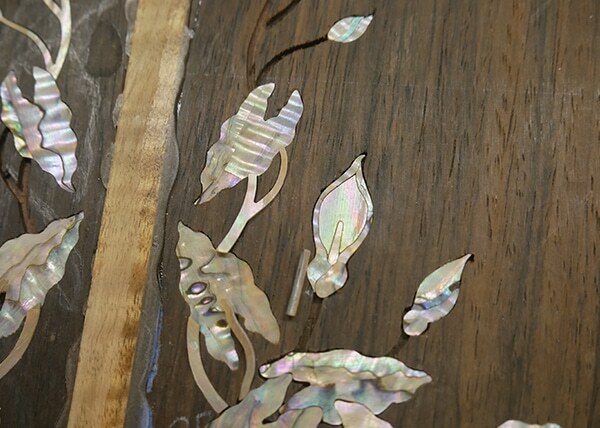 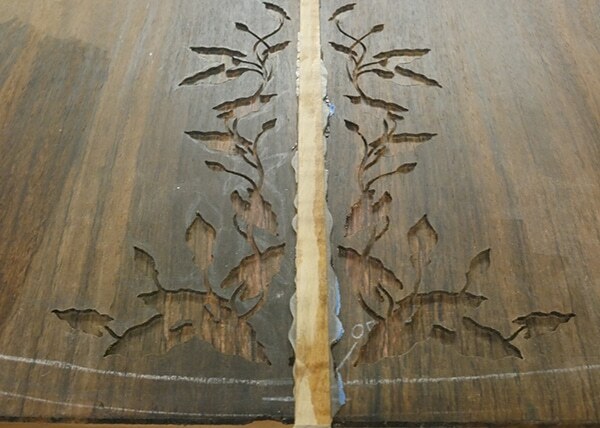 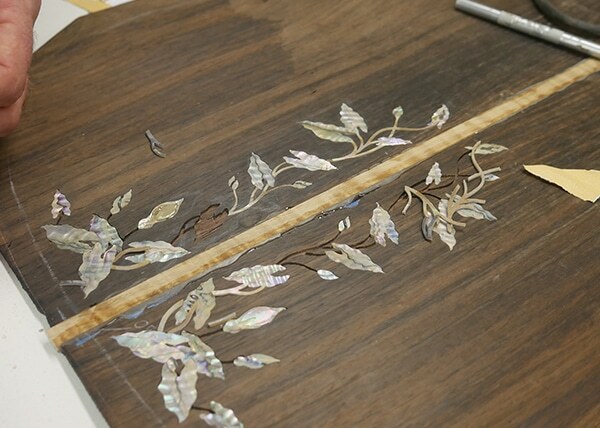 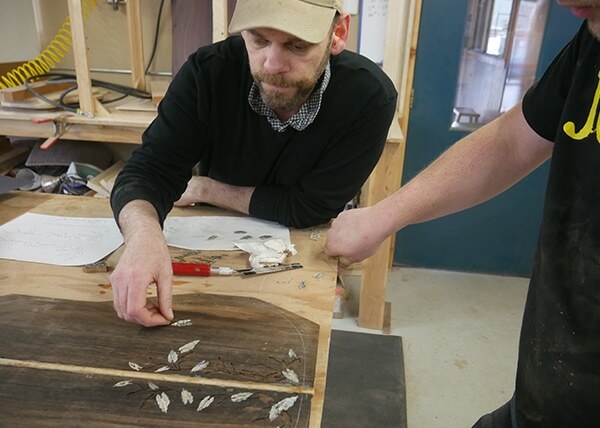 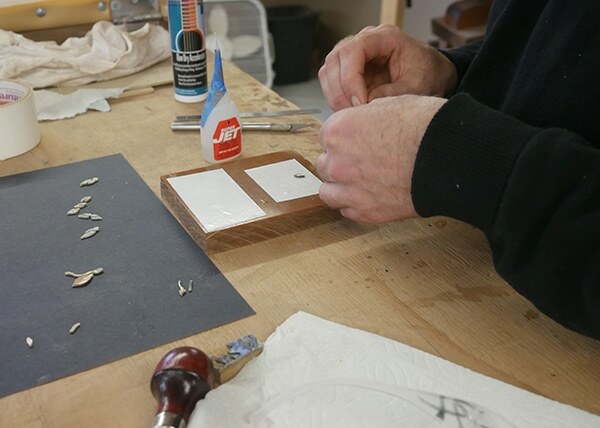 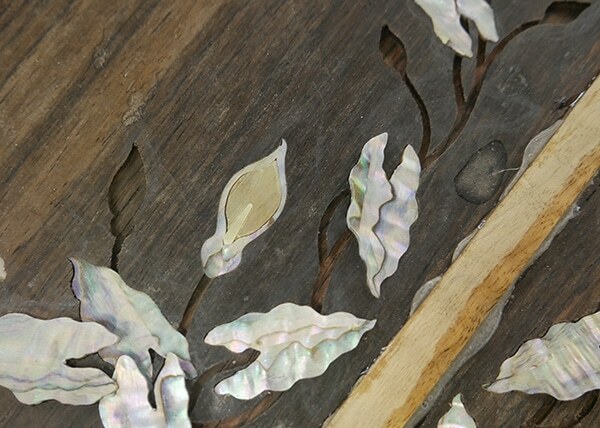 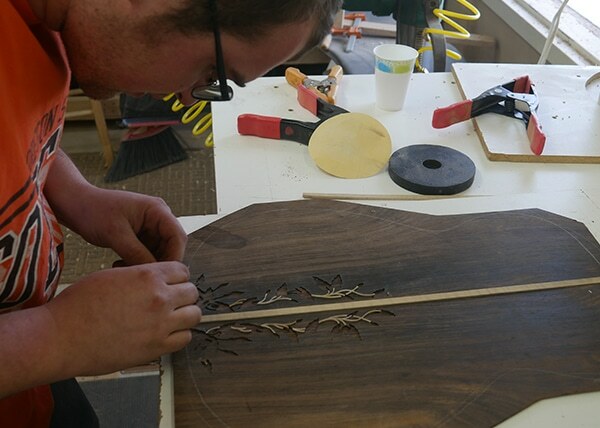 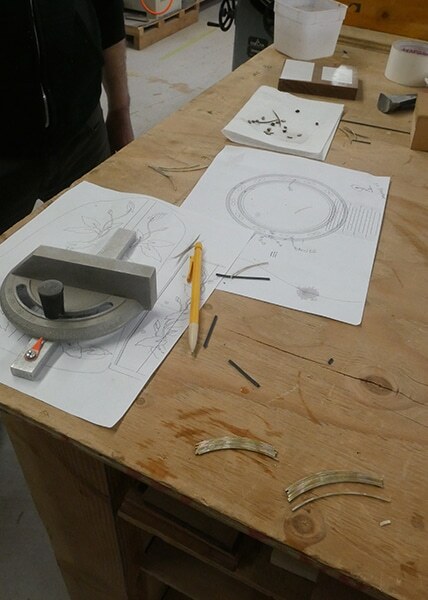 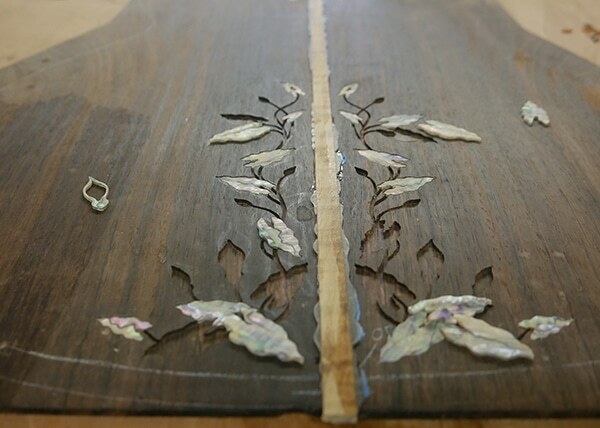 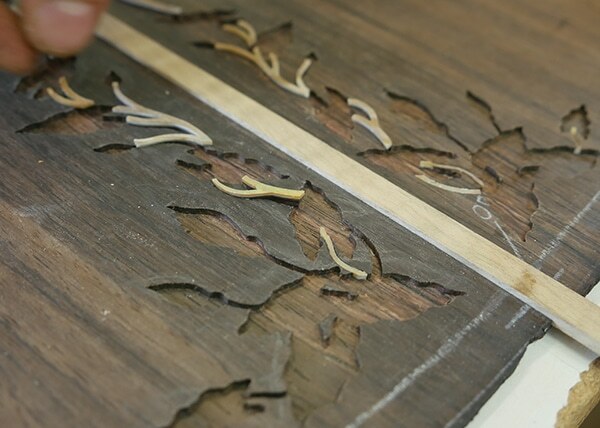 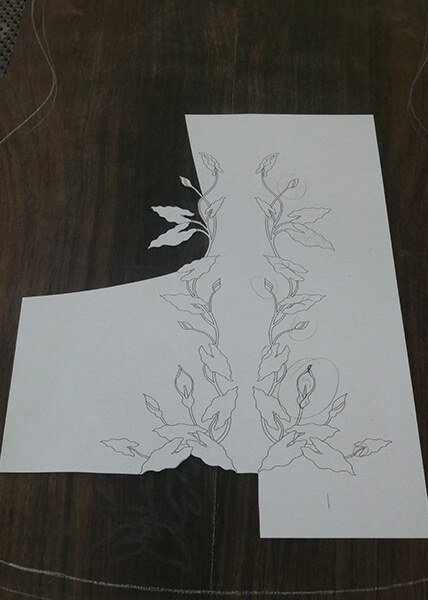 Process for vine and leaf inlay includes: cutting, layout of pieces and installation of green select abalone, bronze pearl and blue paua. 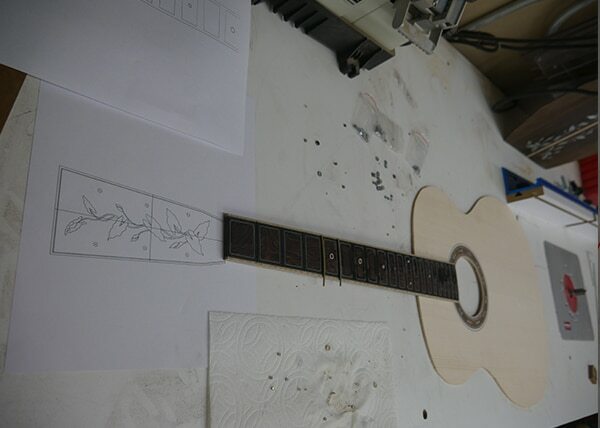 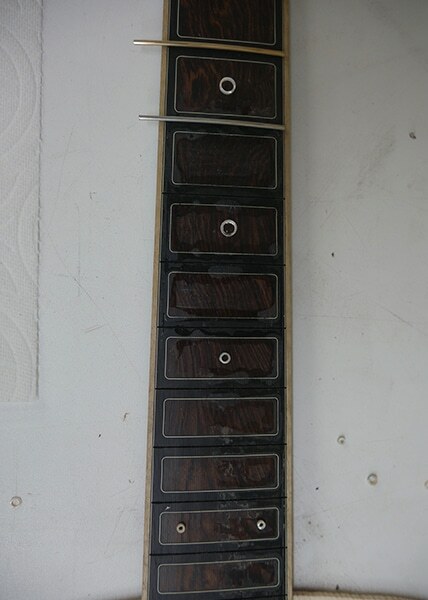 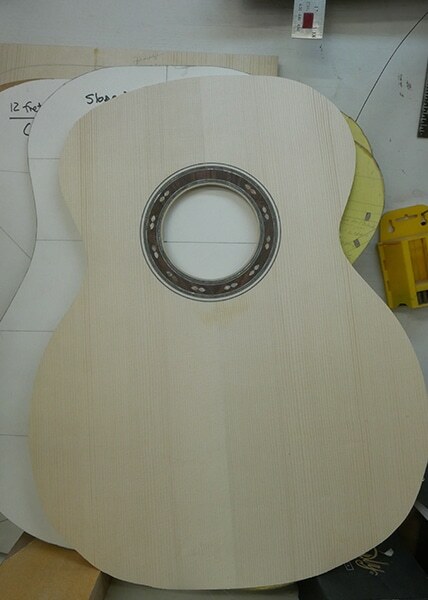 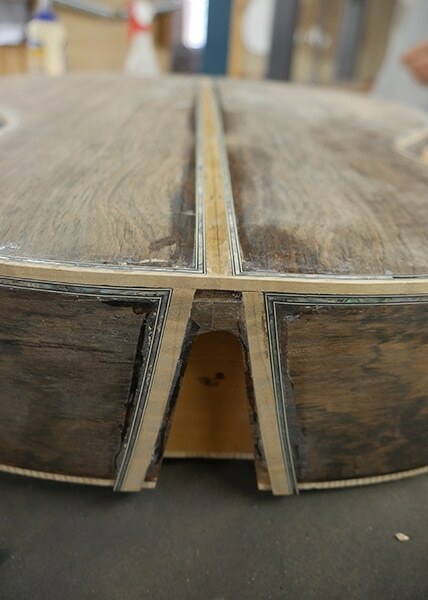 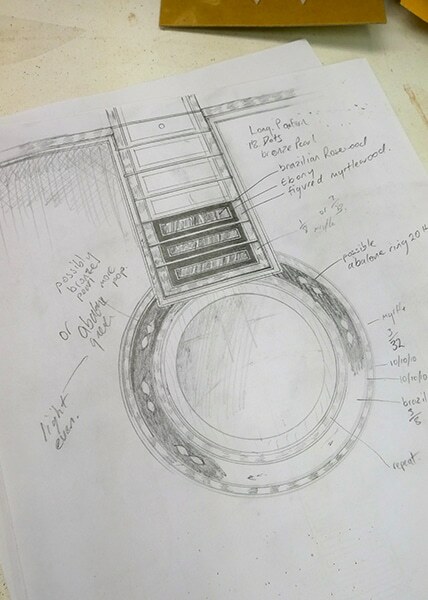 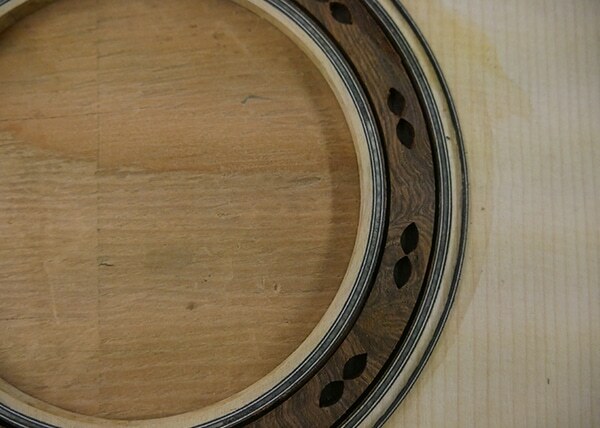 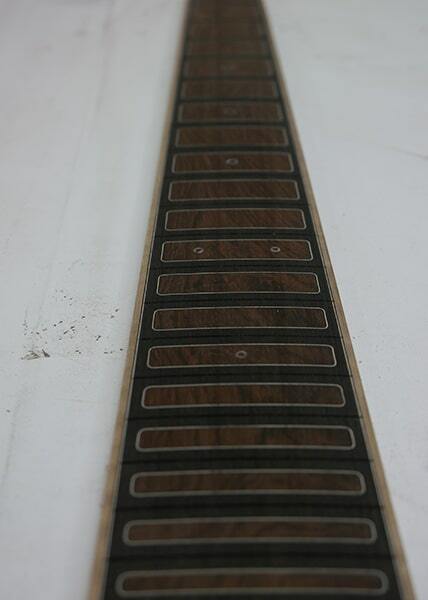 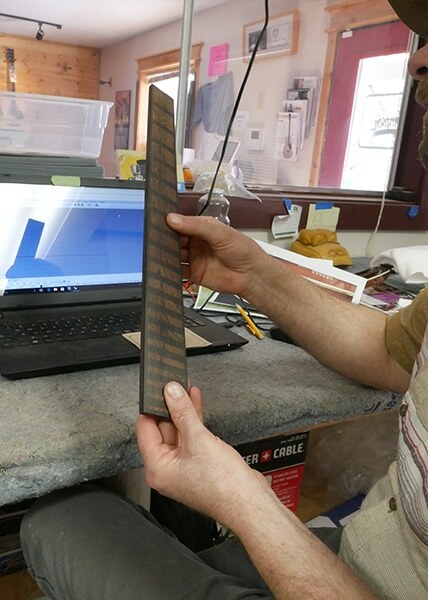 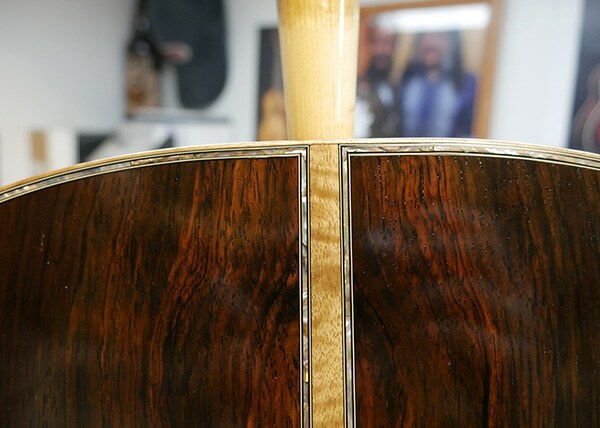 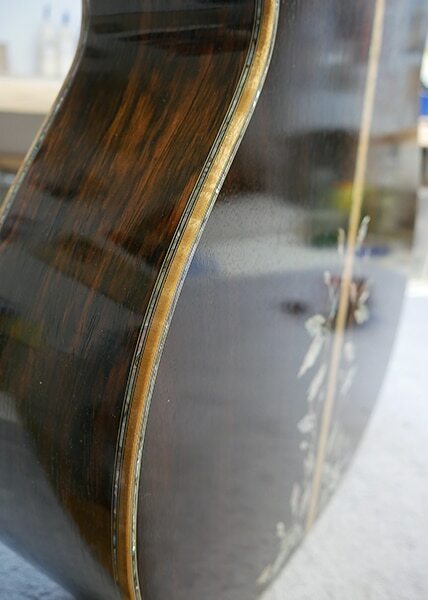 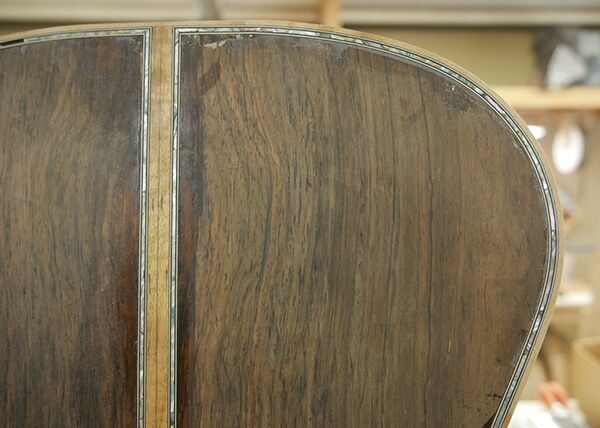 Fingerboard design: Interlocked Ebony and Brazilian rosewood with .010 purfling bordering each fret. 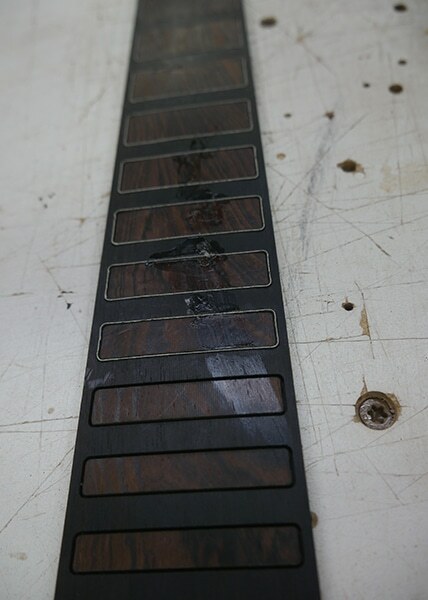 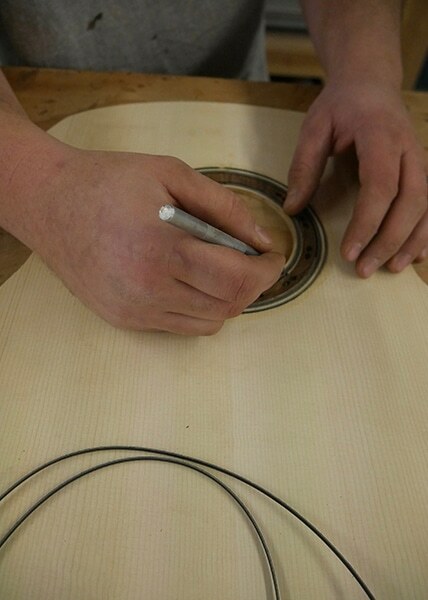 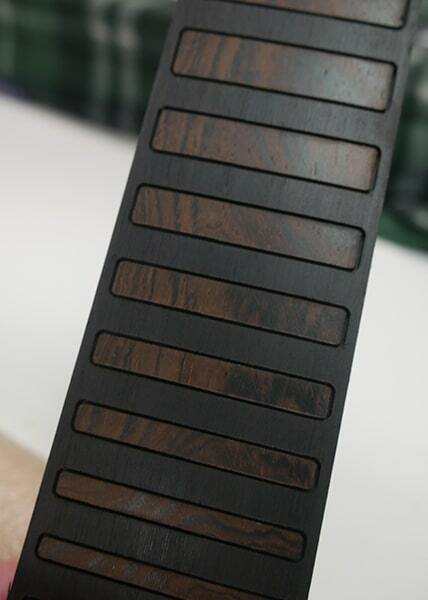 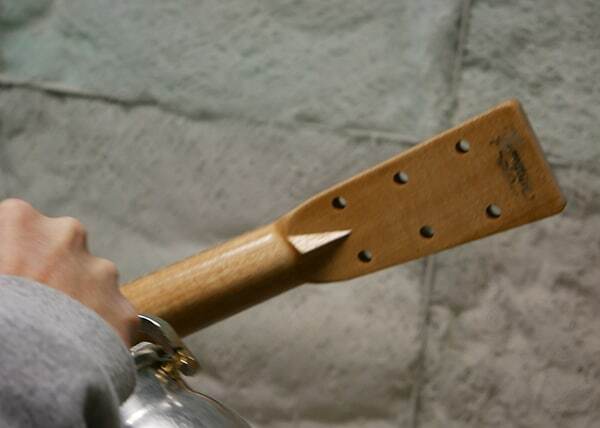 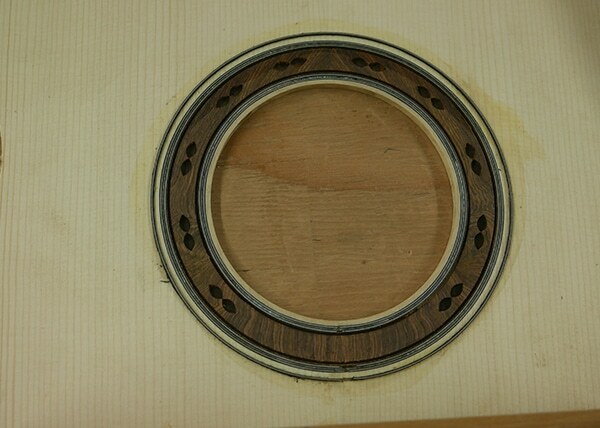 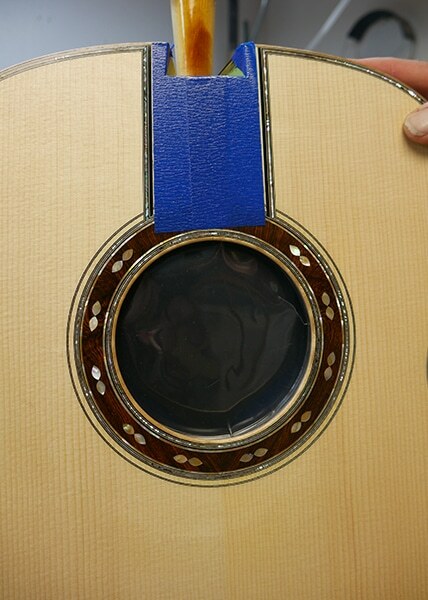 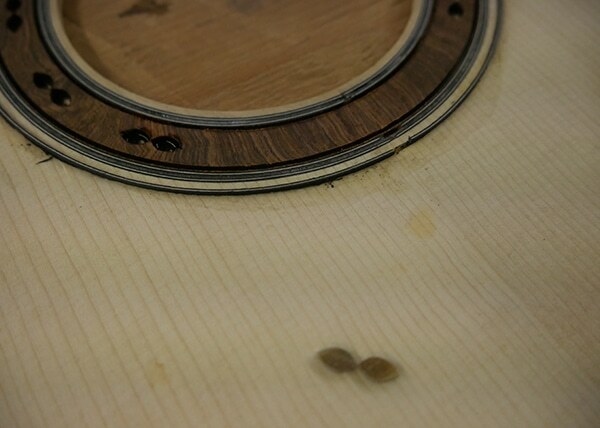 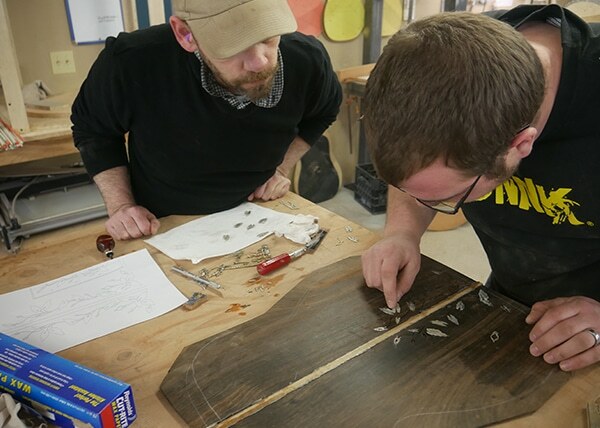 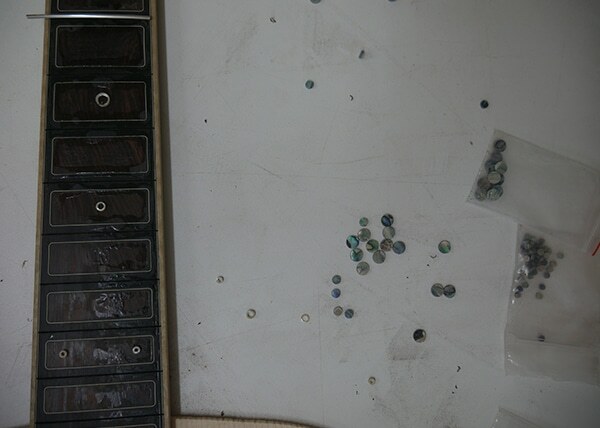 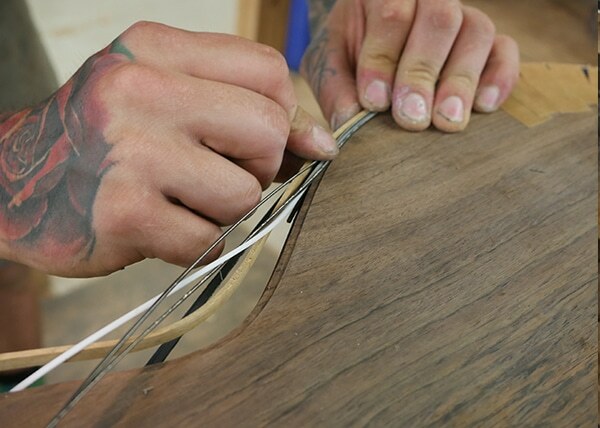 Fretboard markers are abalone rings. 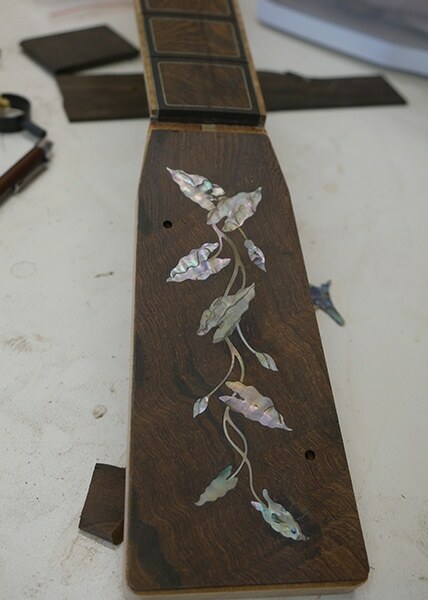 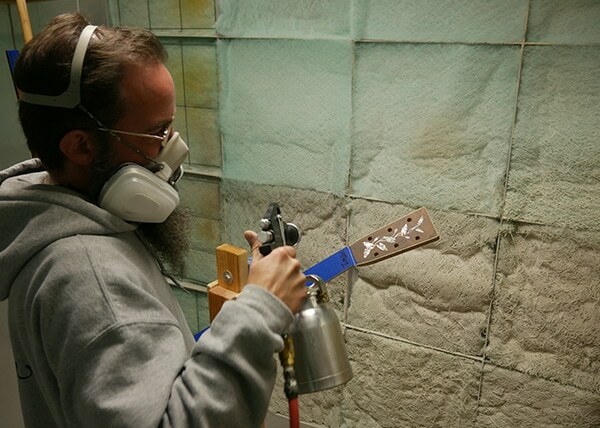 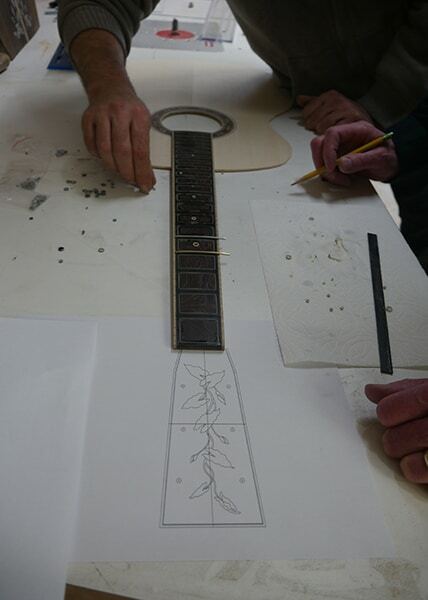 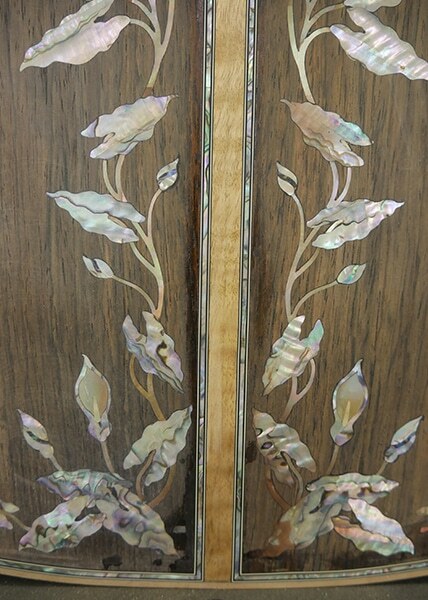 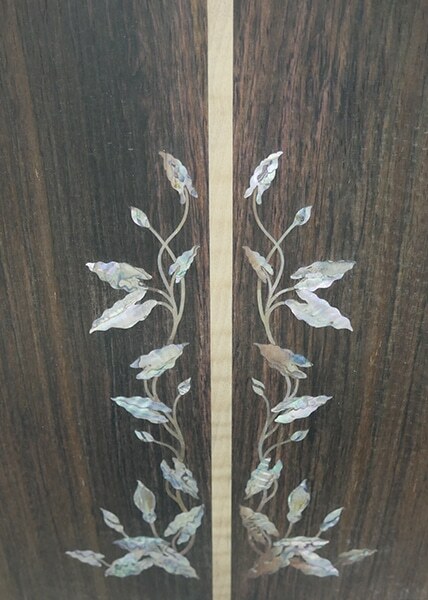 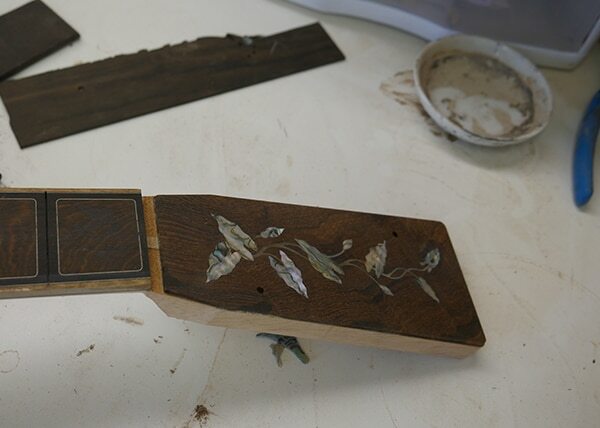 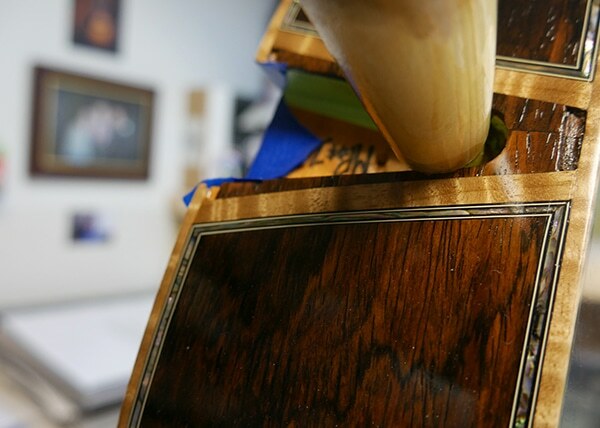 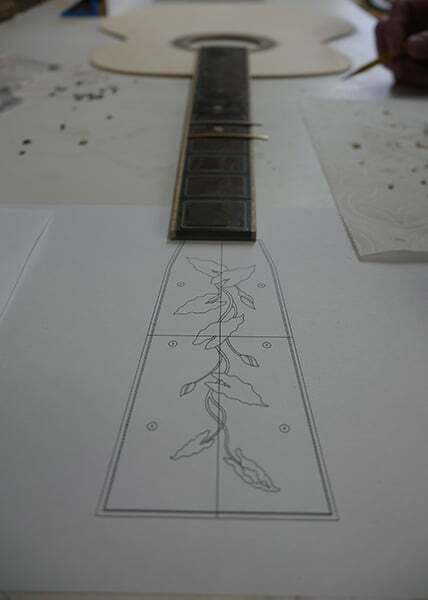 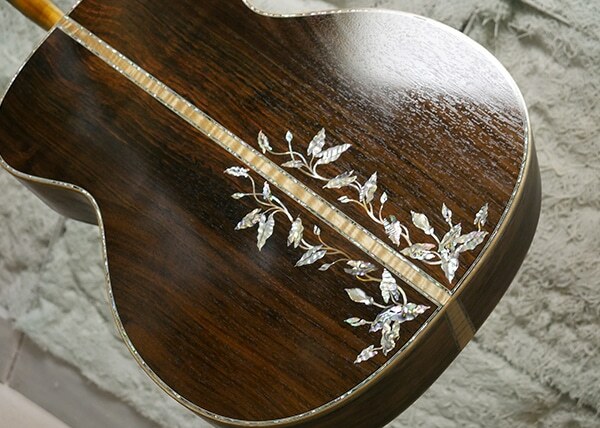 Headstock inlay design matches back vine and leaf design made up of green select abalone and bronze mother of pearl.